Need solutions to Acne? 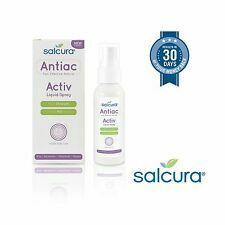 Try Salcura Antiac 50ml GUARANTEED RESULTS! Himalaya Bleminor Anti Blemish Cream has tyrosinase-inhibitory activity without causing cytotoxicity. Himalaya Bleminor Anti Blemish Cream soothes and nourishes the skin and improves general skin health. If you have KP, you NEED to try this product out! Leave the soap on for at least 2 minutes before rinsing. These New Dawn skin and hair care products are of the highest quality possible. They contain 99% natural, 70-100% certified organic ingredients that have been specially selected because they can relieve your skin and scalp problems in the gentlest, most effective way as nature intended. 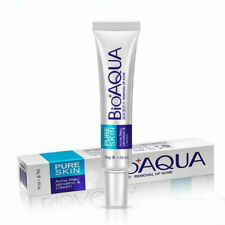 BioAQUA Pure Skin Acne Cream. BioAQUA Pure skin is the number one cream to treat Acne, wrinkles, pimples, Scars, dark spots, burns and Striae of pregnancy scars caused by cuts, stretch marks and pock marks. It also aids in correcting skin discoloration resulting from injury. The contents will not be affected. THIS PRODUCT IS SOLD WORLD WIDE IN THE 100'S DAILY. Fade acne scars: Aloe unique natural effect, inhibit acne, scars fade. Effective regulation, balanced facial oil secretion. Aloe and Acne: Does Aloe Really Help Acne?. Remescar Stick SPF15 UV Protection Reduces Visibility of Old & New Scars 5.4g. Condition is New. Dispatched with Other Courier (3 to 5 days). 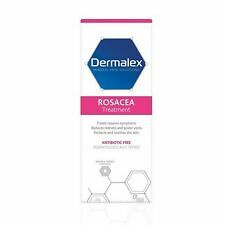 Dermalex Rosacea Treatment Cream. Condition is Brand New, still sealed. Expiry date 11/2020 Dispatched with Royal Mail 2nd Class. Hyaluronic acid is used as a lip filler in plastic surgery, it prevents the effects of aging. In fact, hyaluronic acid is known as a "fountain of youth.". Hyaluronic acid is used in fillers and injected into the deep layers of skin to replace missing HA in the dermis, temporarily restoring plumpness and filling in wrinkles and creases. Mistine is safety and non-irritating product certified by Derma Consult Institute, Germany. compared to the formula of Mistine Ac-solute Body Acne Spray. About Mistine. Mistine product is the best in Thailand. Hyaluronic Acid is able to penetrate the skin's upper layers to improve and benefit the skin when applied topically. 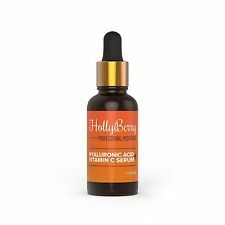 Hyaluronic acid is a major component of skin, where it benefits tissue repair and protection. This Sulphur Skin Care Natural Cream is a lightly whipped, sulphur based skin cream with a fresh lemongrass fragrance. Sulphur Skin Care. Sulphur is good for all skin, not just problem skin! • Sulphur is a vital mineral, which we all need in our bodies. Bielenda Normalising & Matifying Face Cream with Niacinamide&Lactobionic Acid 50ml. Active ingredients: Niacinamide, Lactobionic Acid, Allantoin, D-panthenol, Avocado Oil. provides a long-lasting matifying effect (forehead, nose, chin). BioAqua Aloe Vera Aloe Essence Gel. Fade acne scars: Aloe unique natural effect, inhibit acne, scars fade. Removes skin clogging and occlusion. Targets microbes which cause pimple. Possess anti-microbial effect and along with zinc oxide combats pimple causing microbes. Ocimum sanctum. 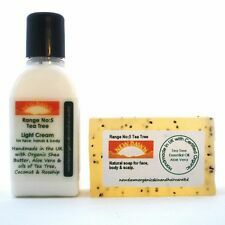 Clears Acne - Reduces associated Skin darkening/scars. Remescar Stick SPF15 UV Protection Reduces Visibility of Old & New Scars 5.4g. 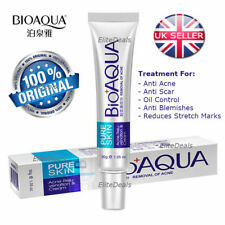 - New and sealed product - Helps reduce the visibility of old and new scars - Expiry 02/2021 Free Postage. UK Buyers Only. 1 X 30g BIOAQUA Cream. 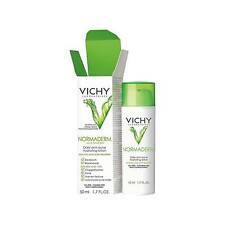 - Visibly reduces the redness and size of pimples. - Clears up pimples fast while helping prevent new ones from forming. About 30g, 3years. 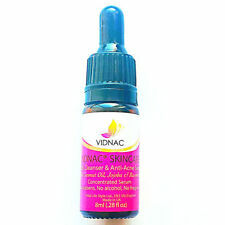 - Get rid of acne stretch marks blemishes. Ageing Skin. On new scars, Rescue Oil should be applied only when the wound has healed, and should not be used on broken skin. You should see results on ageing skin within a few weeks. Rescue oil is not toxic but it is a sensible precaution not to allow your baby to ingest even small quantities. Contain aloe vera. Aloe Vera Gel 1. Cream Usage: After cleansing, apply an appropriate amount of the product evenly to the face. gently massage the skin to absorb it. Mask: After the basic skin care, apply a thick layer evenly on the face. FAST ACTION FOR OILY, SPOT PRONE SKIN. BIOAQUA PURE SKIN Removal of Acne. Are you still annoyed with acne, pimple or uneven riugh skin?. Our new acne cream is a good choice for you. Contains plant extracts which are mild, non-toxic, harmless and healthy to your facial skin. Simply dab on as often as you want, preferably as soon as blemishes start to appear. Great for all skin types, but especially oily/ combination skin. MAXIMUM ORDER QTY - 10 PCS. It also contains 10,000 ppm of tea tree leaf extract. Spread a generous amount of cream on the face, neck and upper chest area. 100% Genuine Korean Import. Extract aloe essence. After cleansing,take the right amount of aloe vera gel evenly to the face. Aloe vera leaf extract.Hyaluronic acid.glycerin.Beta-glucan. Shelf Life: 3years. Gentle skin care. Nourishing and replenishing. ( Under contract with JANSSEN ). Condition : New in box. Bielenda Professional Normalizing and Matifying Face Cream is perfect for oily, mixed skin prone to acne and skin imperfections. Niacinamide PC. Apply on face, neckline and neck, massage gently. Apply the cream every morning. The key ingredient in this natural sulphur cream is Sulphur, also known as nature’s healing and beauty mineral. This natural sulphur cream is made with only natural ingredients. Contains : 1 x 50ml Sulphur Skin Cream from Sulphur Skin Care. VivaNatura anti-acne cream cleanses skin, prevents and treats rashes, quickly removes pimples, spots, redness, pus, blackheads, and white spots. Effects will be noticed even after first use. Because the anti-acne VivaNatura cream is very active, the possibility of a slight feeling of fatigue when applying the cream is a normal effect. Himalaya Bleminor Anti Blemish Cream – 30 ml. On new scars, Rescue Oil should be applied only when the wound has healed, and should not be used on broken skin. Ageing Skin. Massage Rescue Oil into the stretch marks and surrounding skin, in a circular motion, twice daily.